“You don’t get to decide who cares about you.” It should be obvious, but Melinda May still needs to say it to Daisy. 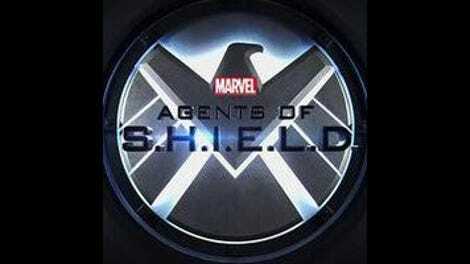 The former S.H.I.E.L.D. agent is pushing away everyone who’s close to her, in hopes of sparing them the fallout from her own actions and behavior, while thinking it’s the noble, self-sacrificing move. But May’s all too familiar with the gambit—she practically invented it, as she reminds Daisy—and knows it’s a losing game, thanks to Phil Coulson. He doesn’t give up on people, no matter what they do or where they go. 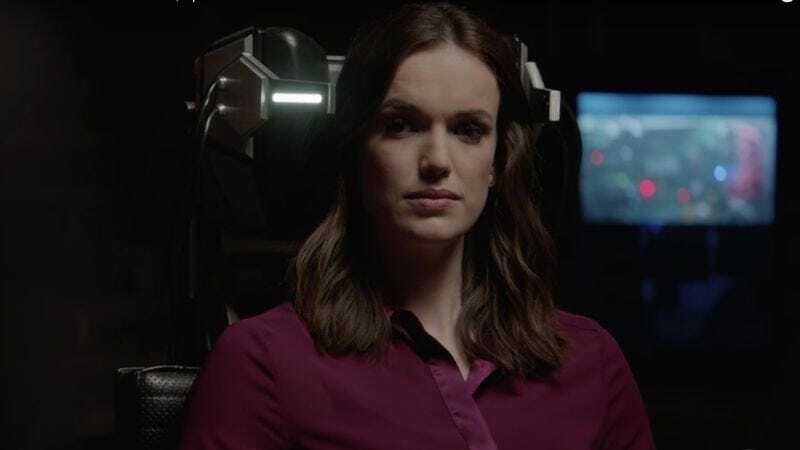 Daisy can tell herself she’s gone after this mission, but it doesn’t matter; Coulson’s a good man, and he cares about her, so he’ll never stop trying to find her, trying to make things okay. She, of all people, should know that even if she were to strand herself on a distant planet, Phil Coulson would find a way to travel through a monolith-portal and find her. That’s what he does. But the most volatile member of the team went to both extremes tonight, saving the day and screwing everything up at the same time. Robbie held it together for so long, taking out not one, but two, ghosts, and helping save Mack’s hide in the process. He was en route to earning the team’s MVP badge for the mission when he took a look at the Fifth Street Locos gang member and just couldn’t hold back. Admittedly, the reason was as personal as you get—they’re the gang that opened fire on the car that left Gabe paralyzed—and it was a revelation to learn the incident wasn’t a case of wrong-place-wrong-time, but rather an organized hit ordered by an unknown person. But still, the loss of Eli to Lucy? That’s all on Robbie and his rampaging Spirit Of Vengeance. It was also a good chance to see Ghost Rider in action. Judgment doesn’t seem to hold much grey area when it comes to punishment vs. leniency. Unfortunately, when it comes to this show’s big villains, Lucy still remains a pale shadow, so to speak, of the competition. Yes, we started off tonight with a brief flashback to her and Dr. Bauer (whom I only now realized is Kerr Smith from Dawson’s freaking Creek) discovering the Darkhold for the first time, and learning it was inscribed mystically, the text showing up in different languages based on whomever was looking at it. And there was some forward progress on that front, as Lucy reacquired the book and reveals she kidnapped Eli because she needs him to read it. But still, she doesn’t exactly scream “world in peril”-level threat, so much as someone desperately trying to become human again so she can continue her work. More worrying was the way Eli’s eyes lit up once he got a good look at the book. That’s not the expression of someone who’s going to do the right thing and alert S.H.I.E.L.D. the first chance he gets. Still, the ghosts’ powers remain a visually striking tactic, as we watch everyone from Dr. Bauer to Mack see the world through the eyes of the infection tonight. The realization that the warden had been infected was also good, though it was funny to see May and Coulson concern themselves much more with curing the prison guards. And now that Fitz and Simmons have synthesized a fix, the ghosts are more frustrating than life-threatening—to our team, anyway. Much more threatening in the grand scheme of things is Senator Nadeer. The politician took on Director Mace twice tonight, once in public, and again within the confines of an SUV. Her ongoing mission to incite public outcry against the Inhumans continues apace, and even if Mace’s poll numbers are going up in the short term, she knows that outing him as a superpowered being ultimately exposes him to the same vitiriol leveled against every other Inhuman in the long run. His publicly coming out as Inhuman was probably a necessary, potentially overdue move, but it also means he has to tread twice as carefully when dealing with the “optics” of public opinion, to cite May’s least favorite word. Fitz and Simmons are dealing with the fallout from Jemma learning about Aida last week. Or, to put it more accurately, Simmons is dealing with it, while Fitz tries to make her less angry at him. The polygraph feint was an inspired bit of storytelling, primarily because it moved things forward on two levels: Jemma got to keep her secrets from Mace, and we learn that Mace isn’t quite the boy scout he’s been made out to be. His Vienna story is a lie, and letting Simmons be the one to uncover it means that the idea of trust is now flowing the reverse direction. She knows something he’d rather she didn’t, and that one switch has the potential to upset the entire balance of power within S.H.I.E.L.D. Let’s hope Mace is still as good of a guy as he seems—this is the perfect opportunity for him to learn that sometimes, the agency needs to play by more flexible rules, and that not everyone has “good guy” or “bad guy” stamped on their forehead. The team that mistrusts is the team that has room to grow. It’s unusual to be five episodes into the season and still have so many of the stakes for the overarching story remain unclear. In some ways, the show is having the most narratively efficient season yet, effectively balancing mission-of-the-week adventures with the longer plots involving Ghost Rider, Lucy, and the Darkhold. And after the all-or-nothing operatics of last season, having things come back down to earth a bit is a good thing. But soon, it’s going to have to start getting at the bigger questions, and giving us a more potent threat than one grumpy insubstantial scientist who can make people die of fright. It’s likely the joining of Eli and Lucy with the book is going to lead somewhere unstable, but as we get to the midpoint of the first half of the season, maybe a little instability is just what’s needed. Especially when Quake is trying so hard not to shake things up. Good to see Mack and his shotgun-axe back in action, even if he didn’t have the presence of mind to realize that, hey, throwing it at a ghost? Not so clever. We’ll chalk it up to his already having been infected at that point. While Coulson’s interest in May’s near-death experience (or, in her words, “a death experience”) is understandable, her response that she saw him is more than a little curious. Unless that was just a deflection. I believe that Mack’s response to Fitz’s injection needle gun was his first “Oh, hell no” of the season. Everyone drink! While it was disappointing to see Daisy get new and improved gauntlets, only to confirm her bones would still be ground into powder if she used her power, it did give us that great fight scene, easily the best one of the season thus far. Most touching moment: When Daisy arrives at the warden’s office to help bust Coulson and May out, he’s so happy to see her. It was a small beat, but very affecting. Clark Gregg and Chloe Bennet play that relationship so damn well. Then again, sorry you had to deal with the aftereffects of taco Tuesday, Coulson.